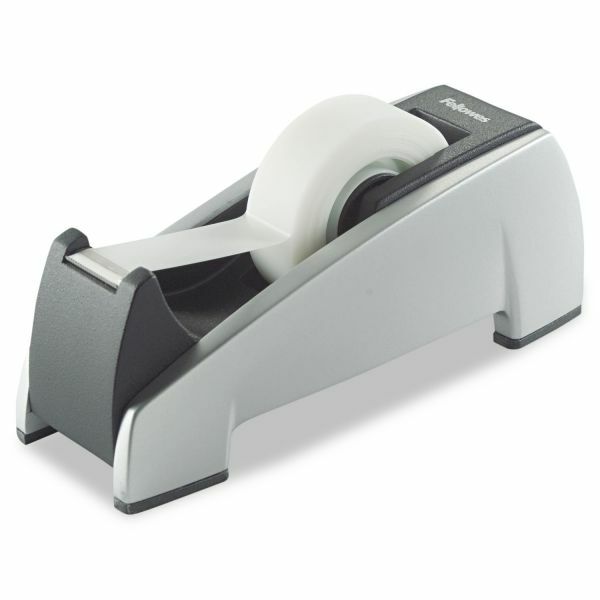 Stylish, contemporary tape dispenser enhances workspace. Middle cylinder slides out to load standard 3/4" tape refill. 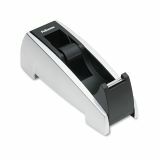 Fellowes Office Suites Desktop Tape Dispenser, 1" Core, Plastic, Heavy Base, Black/Silver - Tape Dispenser matches the rest of Fellowes' Office Suite Desk Accessories with smart styling in contemporary black and silver for the professional work space. Middle cylinder slides out to load standard 3/4" tape refill. 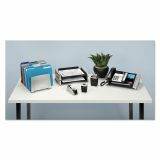 Weighted base adds stability during use.